El furgón aka neustra casa. 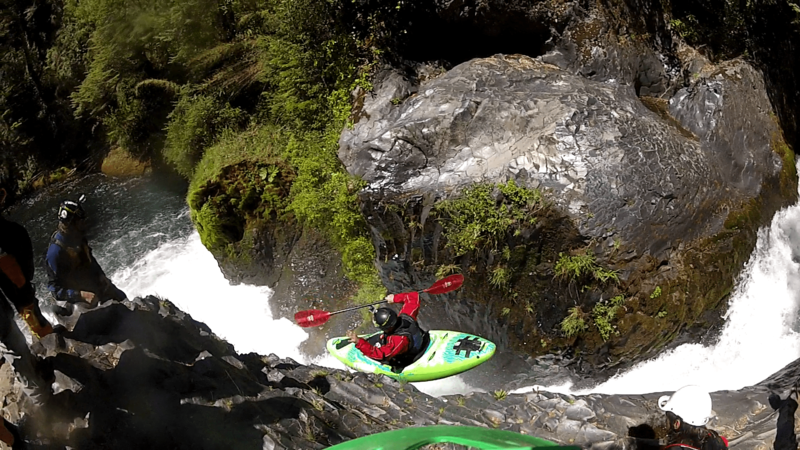 After a sweet late-October run of the Dryway and a high water lap on the East Branch of the Pemi, I packed my kayak in a bag, batted my eyelashes at the American Airlines check-in counter lady, and checked a (full and very overweight) ski bag and kayak free of charge all the way to Santiago, Chile. Daphnee met me at the Santiago airport and we hopped on board an 8-hour bus to Temuco to pick up our rental mobile home. 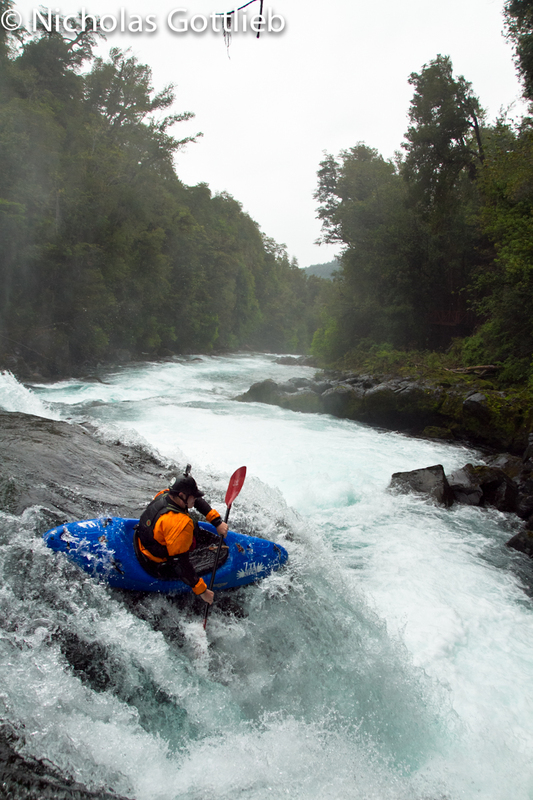 After a brief stint in Valdivia, we made our way to Pucon, where water was lower than it has ever been, but stoke levels were high as the Whitewater Grand Prix athletes were trickling in to town. Galen Volkhausen seal launches into the portage (aka Ex Portacion) on the Upper Penguin. 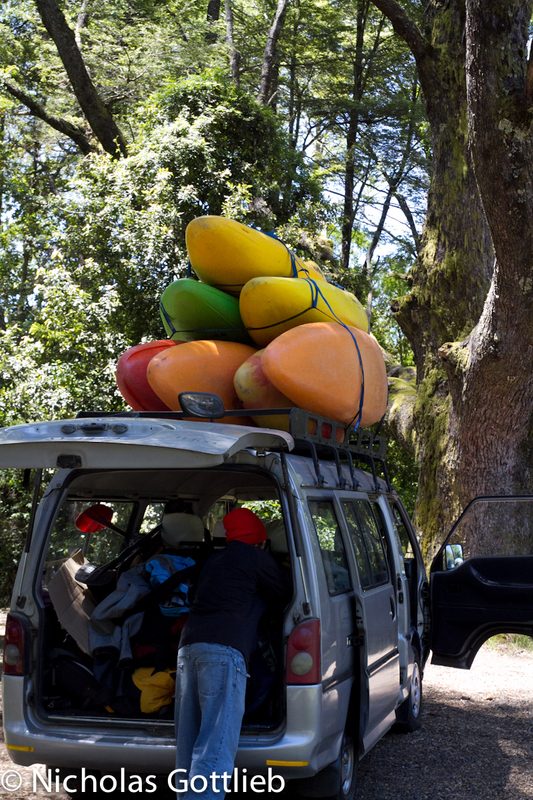 A few trips to Pucon classics like the Upper Palguin, the Upper Trancura, and Mamas y Tapas and we began to get bored, so we packed up and drove to the Upper Fuy, a classic IV/IV+ river that always has water about two hours from Pucon. The Fuy is a beautiful blue river that flows out of a lake through a series of fun, constricted rapids culminating in a set of waterfalls called Salto de Las Leonas. The river goes over a wide 25′ ledge with multiple lines, then an 8′ ledge followed by a steep ramp through a curler into a 5′ weir-like boof into a sizeable pool before tumbling down another busy lead-in to a fun 10′ ledge. 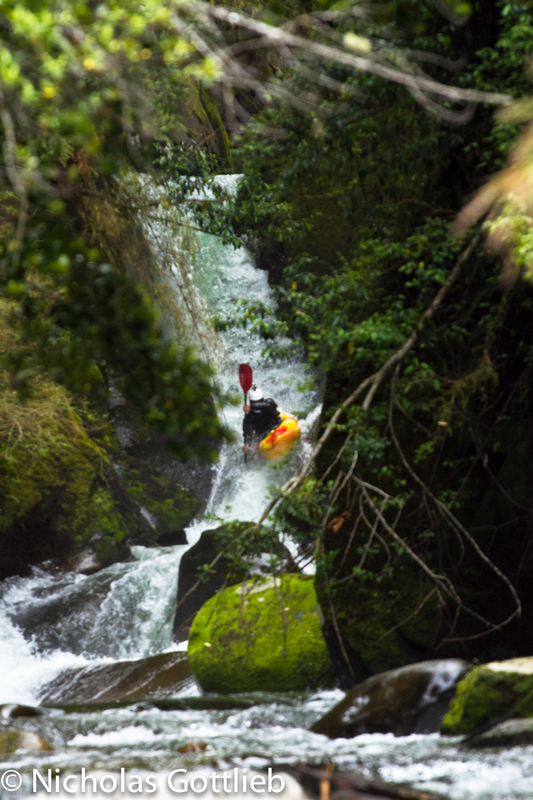 It’s one of the most fun sequences of rapids anywhere, and the first 2 drops are easy to hike back up and run again. Jordan Poffenberger runs an alternative line on the 25’er on the Upper Fuy. 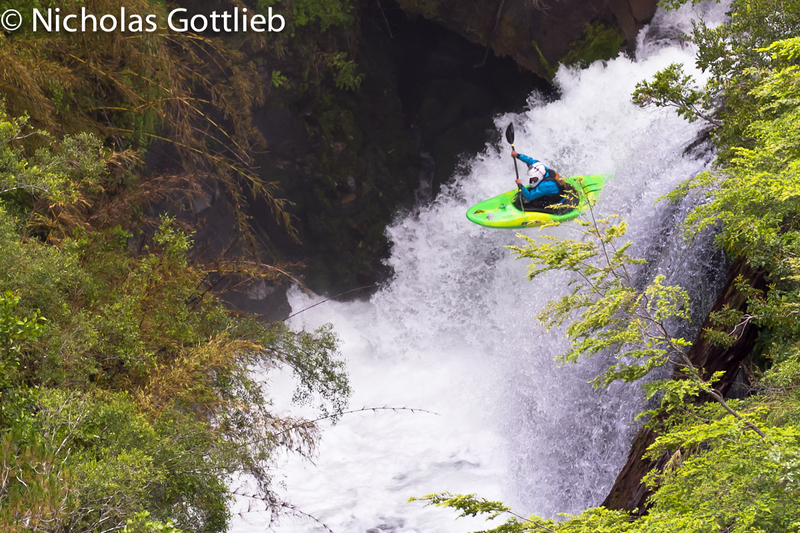 Alex Toth runs a river right line on the second drop of Las Leonas. While at the Fuy, it began to rain, so we were sucked back to the Pucon siphon to see what the rain had brought. All for the best, because over the next few days, we would run the Nevados and the Turbio, both rain dependent Pucon staples. The Nevados is pretty classic. The normal Nevados run is a neat walled in mile or so with a slide and three “20 footers” (I’d say 20′, 15′, and 12′, but that’s just me). There’s a tight upper gorge on the Nevados if you’re into that sort of thing. (There’s a mandatory portage right downstream of this shot). 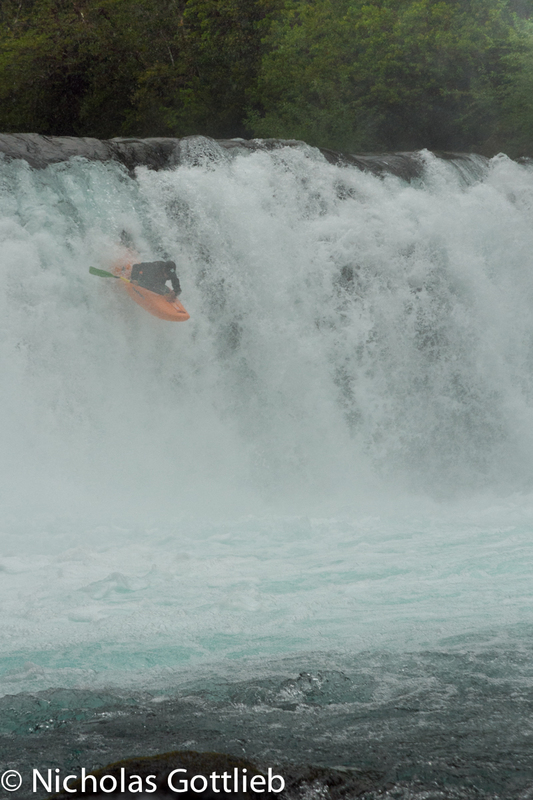 Unfortunately, about a week after we got back to Pucon, we paddled the Nevados again and on lap 2 of the day — the lap I paddled only because the WWGP folks had asked me if I could set safety at the finish line — I injured my back on one of the boofs. Of course, it’s boxed in, and paddling didn’t hurt too bad, just boofing, so I was able to paddle out. 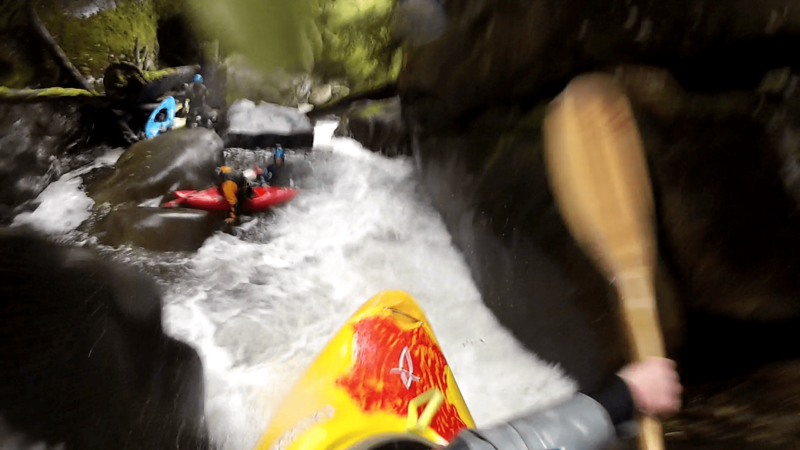 Unfortunately, to paddle the Nevados at really any level, but especially at higher water, it’s kind of important to boof, so paddling out was by no means the most pleasant kayaking of my life. 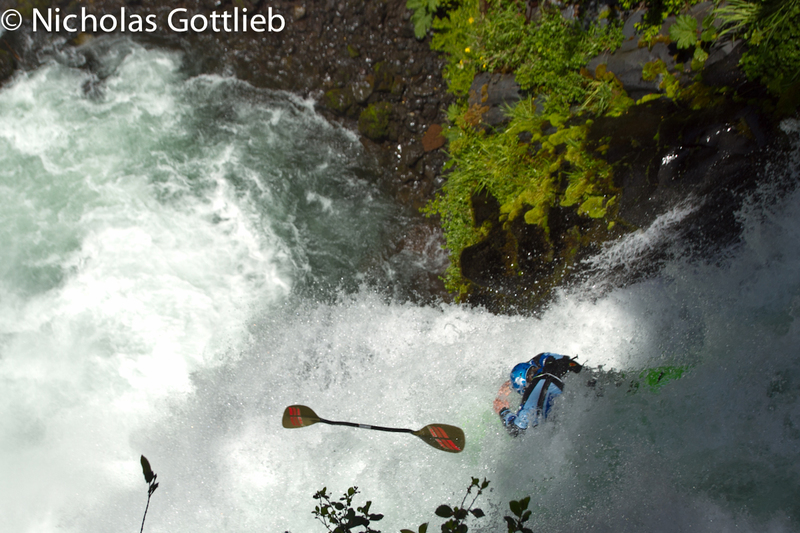 I got an x-ray, etc., and seem fine now, but I didn’t kayak for 15 days after this to let it get better. Nicole Mansfield runs the Wall Boof on the Nevados — this one is definitely all of 20′. Carson Lindsay on Dulce Amor, one of my favorite boofs in Chile…Sweet 12′ wall boof, followed by two 4-5′ boofs (Carson is on the middle one in this photo). Stay tuned for my next post — 15 days of driving and photography while everyone else went kayaking…woohoo. Can’t wait for the next instalment! !